Before you’ve probably shared your pregnancy news with the world (aka Facebook), your doctor may offer you a NT scan, or the nuchal translucency screening. This screening is performed towards the end of the first trimester in two parts – a blood test and a specialized ultrasound. The results are then evaluated by a physician and your baby’s risk for several different chromosomal abnormalities is calculated. So, should you do it? There are several things to consider. 1. It may not be covered by your insurance. As an optional test, you may be footing the bill. Always check with your insurance if cost is an issue. 2. It is not a diagnostic test. The NT scan will NOT tell you if your baby has a chromosomal abnormality; it only assesses the risk. Typically, if your results show an increased risk, you will have the option to perform additional tests, such as a CVS (chorionic villus sampling), amniocentesis, or a blood test such as MaterniT21. Additionally, a low risk does not mean that your baby won’t have an abnormality, just that it is unlikely. 3. It may provide you with peace of mind – or the opposite. If you’re a worrywart, the NT scan may provide some reassurance that your little one only has a very small chance of having an issue. On the other hand, as a woman whose baby showed a high risk of down syndrome but turned out to have no chromosomal issues, I sometimes regret putting myself through all of the intense stress that accompanies such a result. 4. You want the possibility of bringing in specialzed care. The sooner you find out that your baby has a chromosomal; abnormality. the sooner that you can gather a team of specialists to support your bundle of joy once he or she arrives. 5. Ask yourself: would it matter? 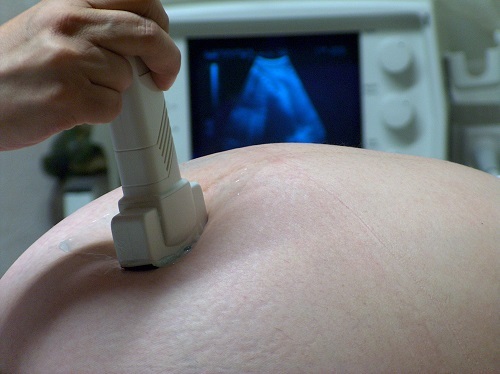 If the results truly would not affect the progress of your pregnancy, you may feel that the NT scan is unnecessary. Only you and your partner can make that decision!